Duration of time a shared license application was actually in use and for how long a period of time. 1. 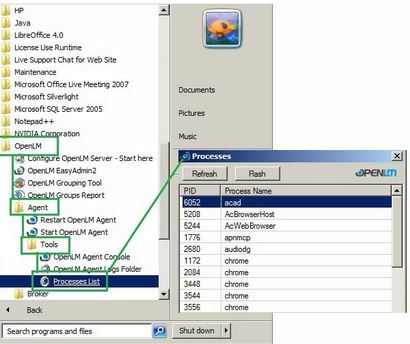 Make sure the OpenLM Agent is installed on the end user’s workstation. c. Select the desired process(es) and minimize the window. 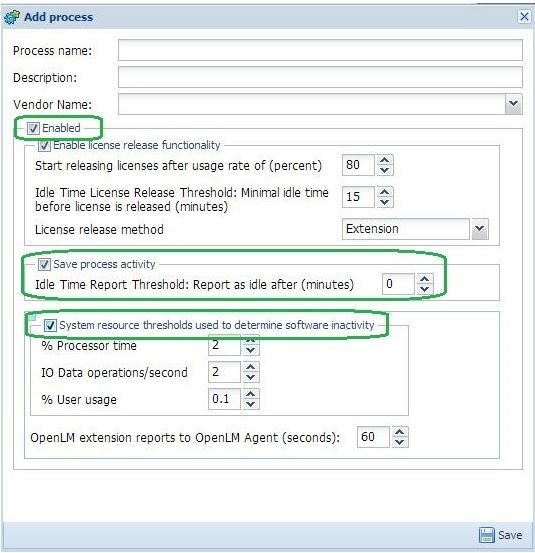 This information will be needed in Step 6.
d. In order to add new process(es) to the currently managed process list, re-open the Process features window and click the Add icon, (located on the top right – hand side). The Add process window will then open. e. For processes that already exist in the process list, select them and click the Edit icon. An identical Edit process window will appear (see below). f. Add features to the selected application. 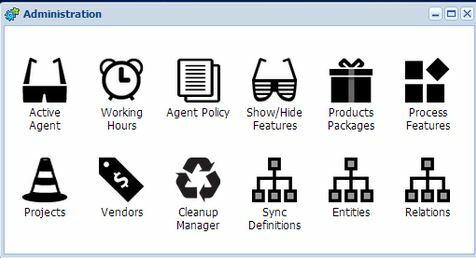 This is done one feature at a time by clicking the Add icon on the lower-right corner of the Process features pane, or by adding ALL features automatically by clicking Add all Vendor’s features. Provide a Process name as obtained in Step 5- Item c (listed above), e.g: ArcMap. Proved the application’s Vendor name exactly as appears in the license file. Very important that the Enabled, Save process activity and System resource threshold used boxes are marked. Set the software resource thresholds. These numbers indicate the thresholds under which a process is considered idle. After completing the process described above in paragraphs 1 through 6, the Active Agent is set to monitor the managed process . 1. Open the OpenLM EasyAdmin web application. 2. Click Start → Operational → Currently Consumed Licenses. The Currently Consumed Licenses page is open. 3. Click the Crescent moon icon ( ) for a particular row to view the Actual usage of a particular vendor. 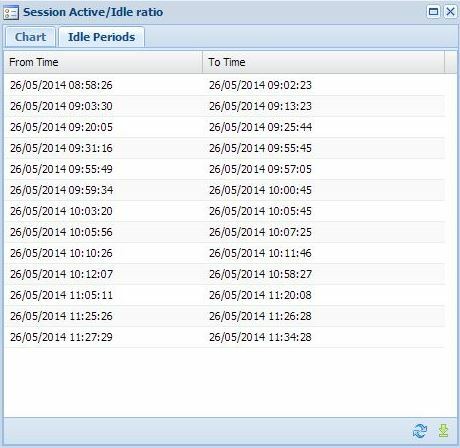 This window lists all currently active sessions. 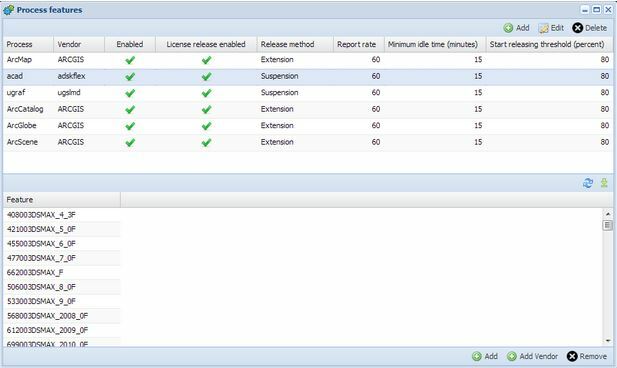 Using this window, administrators can monitor individual workstations that run licensed applications. 4. The peaks in the the chart represent Active Usage which is represents the Actual Usage. 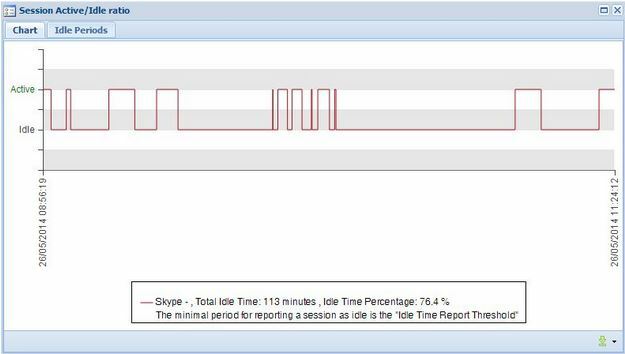 The low flat line represents the Idle time. It is also able to differentiate the exact Actual Usage from the Idle time.